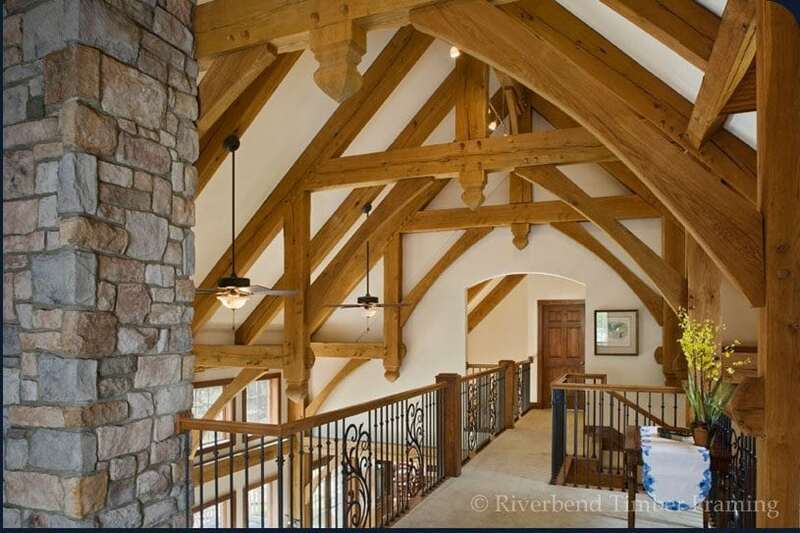 You know you want the natural beauty of traditional timber framing flowing within your future home. You’ve even found some floor plan concepts you’ll use to inspire your project’s layout. But have you considered the framing itself? What do you want your truss and bent systems to look like and how will you interpret that look to your designer? Below we offer tips and visual examples to help you accurately express your timber frame design vision. Before you can express your ideal timber structure, it helps to have a basic understanding of its composition. For instance, trusses are components of your interior frame that are comprised of several pieces of timber fitting into a unit. It is the truss that spans the length of your roof and supports it. A bent consists of the truss and the continuation of a truss system from the ceiling to the floor. 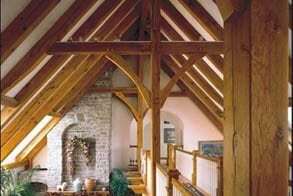 Your home’s layout defines how you will live within in the space, whereas your timber framing represents the look and feel of your completed home. You may have already explored floor plan concepts and found layouts similar to what you want to create for your own home. On the Riverbend website we show the timber frame skeleton of these concepts as they were originally envisioned, but keep in mind that you are not restricted to our initial configuration. These online examples are interpretations of what your structure could look like paired with that plan. When you work with your designer, they will be able to help you visualize a timber structure that reflects your style and still works with your layout. Images can be the best way to accurately voice what you want in a truss and bent system. Here we have three examples of homes built based on the Tuscany concept, each with a unique interpretation of the timber system. 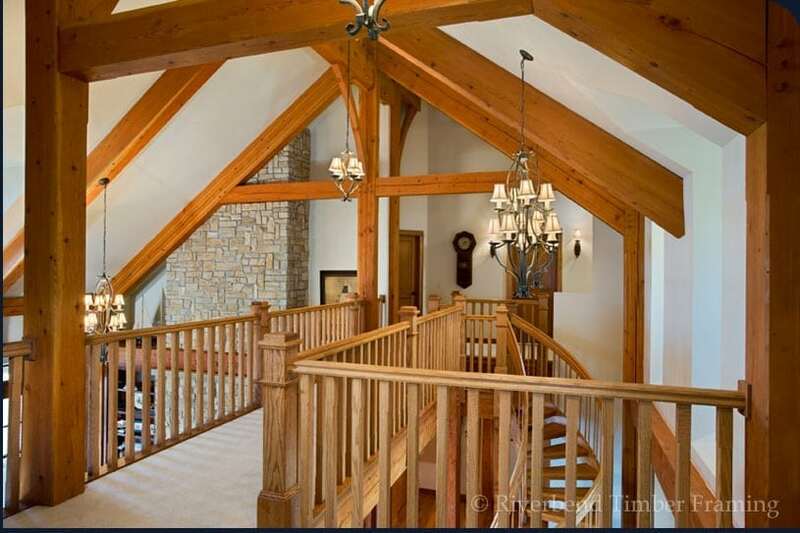 Do you envision an accented, traditional truss system like the one seen in image 1? Or maybe you are looking for a more modern, subtle design with fewer timbers, like the image 2 design. Perhaps you desire an era-represented look like the Victorian, cathedral-style one in image 3. We design homes based on your style. So gather lots of pictures, check out multiple designs and even start sketching your own ideas – we can create whatever you envision. The look and feel of your timber structure is certainly important in your project, but for most, cost is also a factor. The more cuts and amount of timber you use, as well as the complexity and intricacy of the design will impact turnkey costs. There are a lot of ways your designer can configure the timber frame in order to achieve both your aesthetic and budgetary goals. With all of the design opportunities available for wood homes today, don’t forget to work with your designer to explore the options for your home’s timber frame structure.